An Orthodox church in the municipality of Visoko in the central part of Bosnia and Herzegovina was set on fire by unknown vandals last Sunday, suffering serious damage, reports RIA-Novosti. The city of Visoko is located in the Federation of Bosnia and Herzegovina and is inhabited mainly by Bosniaks (Slavic Muslims), with a small Serbian and Croatian minority. 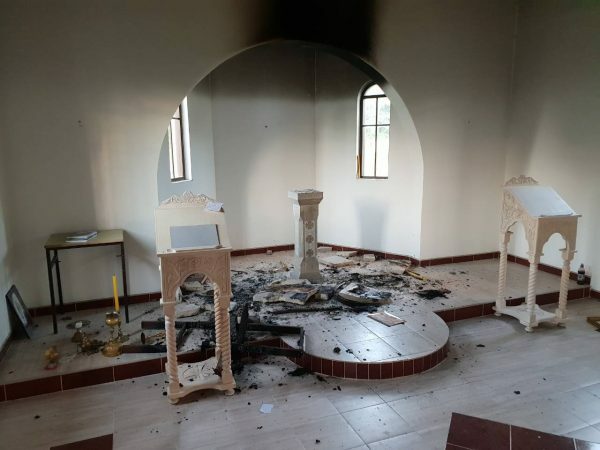 “On Sunday night, one person or a group of unknown persons burned the inside of the Church of the Nativity of the Most Holy Theotokos in the suburban village of Cekrecie. As a result, the iconostasis, the altar, the majority of the icons, the utensils, and books were destroyed, and the roof structures were enveloped in flames,” the local police reported. The church, which was consecrated in 2017, was renovated by rector Fr. Milan Radzhenovic over the past two years and it is on the territory of the Serbian Orthodox Metropolitanate of Dabar-Bosnia .